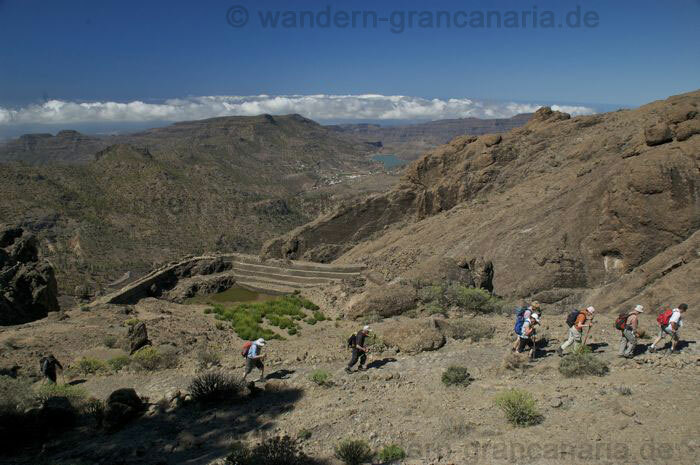 Gran Canaria is a still quite unknown hiking destination in the Canaries. In contrast to the well-known “ walking Islands ‚ Tenerife, La Palma and La Gomera in Gran Canaria you can still found a relatively small number of walkers. Nevertheless, the island has so much to offer. The proverbial „miniature continent“ make to its name. 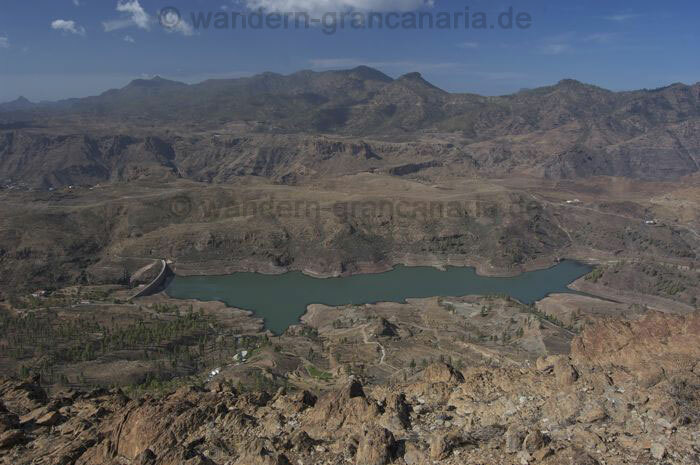 Gran Canaria offers in a very small extension perhaps the most different landscapes of the Canary Islands. Also, a big advantage of Gran Canaria is, that your walking holidays can be combined very well with a beach holiday on the famous beaches in the south or further trips to the culture of the island. Gran Canaria is the third largest Island of the Canaries. The population of the island are more or less 790.000 habitants. Gran Canaria has a diameter from about 50 km from north to south and east to west, 1560 km2 and the capital city with about 390.000 habitants is Las Palmas in the northeast of the island. The touristic region of Gran Canaria are in the south. It begins with Bahia Feliz, San Agustin, Playa del Ingles, Maspalomas and Meloneras. A little more in the southwest are the tourist centers of Puerto Rico an Mogan. The highest mountain is the „Pico de las Nieves“ the „Peak of the Snow“ with 1949 meters and it is more ore less in the middle of the island. A good way to explore this island is a guided hike. This has the advantage that you do not have to worry about directions, rental car, bus and the routing (hiking guide in a book form). The problem is also that there are little signposted walks. The cost is logically a little higher but with your walking guide you can just enjoy the day. A further advantage of a guided hike is the fact that you also learns a lot about the country and its people, fauna, flora and much more.